Finding meaning in the loss of a loved one often feels impossible. When those we care about the most are taken from us, their passings often defy logic or comprehension. Through our memorial fund, you or your loved one can continue making a difference in Central American & Mexican communities affected by poverty, while leaving a permanent legacy for generations to come. 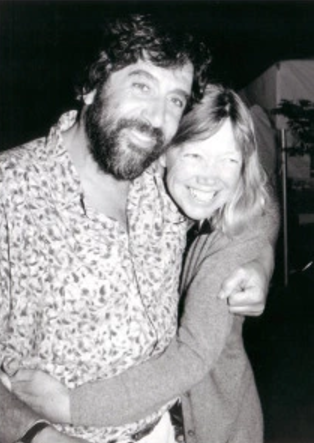 The Rose and Zal El Salvador Memorial Fund was set up in 2003 to honour the memory of Rose Richardson and Zal Yanovsky. It provides small loans for self-employment projects that generate an income for people in need. Administered in a transparent and democratic manner by our respected partner ACUDESBAL, loans ranging between $20 - $500 are directed primarily at women in rural areas. Rose and Zal were both impressed by the resilience and commitment of the Central American people, and they generously contributed to community development initiatives in Mesoamerica. The Rose and Zal El Salvador Fund continues this legacy of solidarity, supporting people who help themselves confront poverty, inequality and injustice with positive, people-driven solutions. For just $10 per month, about 30 cents a day, you can support Salvadoran families, individuals, and community groups apply to apply for small, low-interest loans. In El Salvador, a little money goes a long way; a few hundred dollars are often enough to launch a small business. Your contribution may be key in helping families fund market stalls for selling produce or crafts, small bakeries or even modest eateries to become economically sustainable. To contribute to the Rose and Zal Memorial Fund, contact us. Would you like to learn more about setting up a memorial fund?